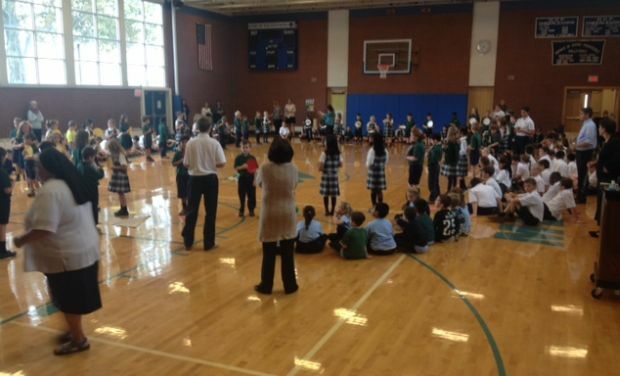 Students of Mother Teresa Regional Catholic School, King of Prussia, pray the rosary in the school gym. October is the month of the holy rosary and also mission awareness month. 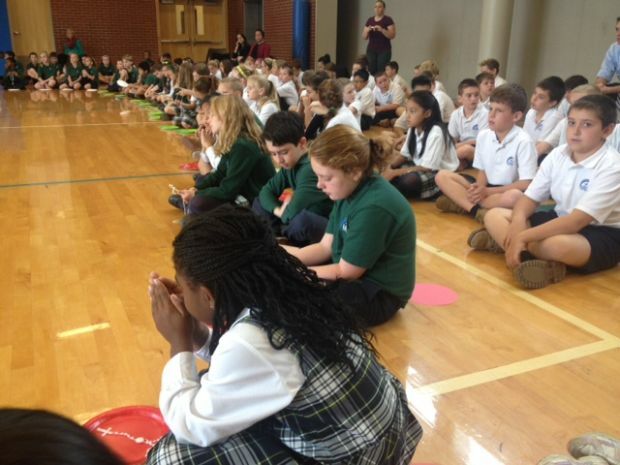 To celebrate, students at Mother Teresa Regional Catholic School in King of Prussia prayed the Living World Mission Rosary on Oct. 13. Missionary Sister of the Sacred Heart of Jesus Lisa Valentini shared stories of her experiences in Africa, Haiti and the Dominican Republic. All classes at MTC will be incorporating the rosary into their classwork throughout the month.